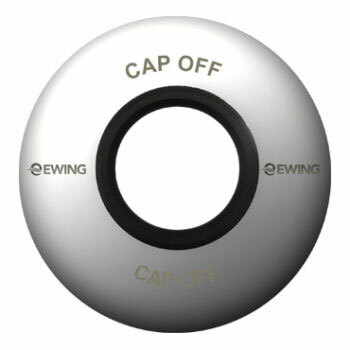 Cap Off Wall Flange suits both the Standard Cap Off Fitting and the Safety Cap Off Flood Stop Valve. The Automatic Reset Function of the Flood Stop Isolation Tap makes this the perfect addition to any high rise apartment or house. 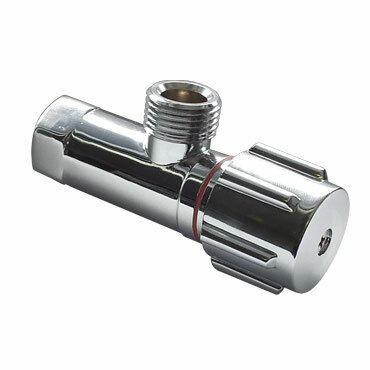 First and foremost this device is a flood stop safety valve that will activate if the flexible connector hose attached to the tap explodes. The water supply is immediately shut off to the hose without affecting any other water supply outlet in the premises. The bonus with this patented flood stop device is when you discover the broken hose and turn the isolation tap’s handle to the off position to replace the hose, the Flood Stop valve is automatically reset. There are no special tools required or having to remove the pressure from the water supply line in order to reset the flood stop valve. The Flood Stop Flow Adaptor set regulates the flow of water leaving the braided flexible hose before it enters the ceramic disc mixing tap thereby controlling the flood stop valve. 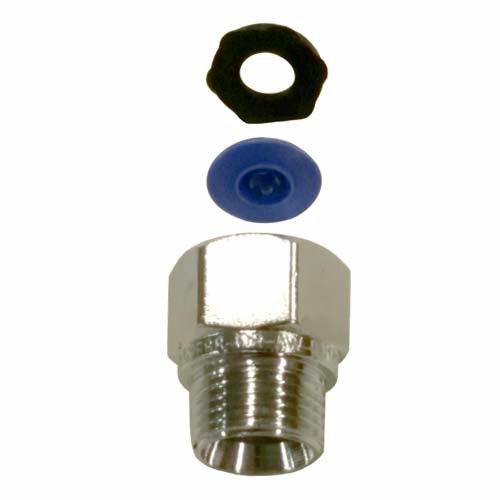 To eliminate any anomalies including air pockets in the plumbing system which may cause the Flood Stop valve to engage, the micro flow controllers housed in the uniquely designed Flood Stop Flow Adaptor Set is the perfect companion to the TAS103 Flood Stop isolation tap. 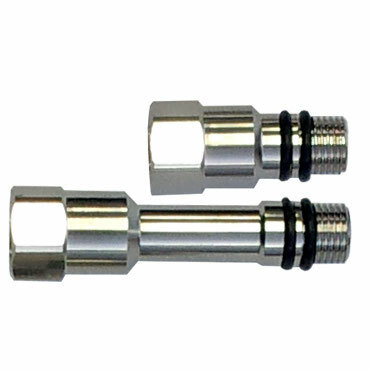 TAS125 Flood Stop 15mm M&F 6Ltr Flow Adaptor Set. 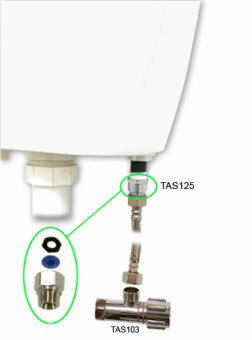 To eliminate any anomalies including air pockets in the plumbing system which may cause the Flood Stop valve to engage, the 6litre per minute flow control disc housed in the 15mm Male / Female Flood Stop Flow Adaptor is the perfect companion to the TAS103 Flood Stop isolation tap, for use on toilet cisterns and basin body inlets. The Maxus system speaks for itself. A revolution in tapware. 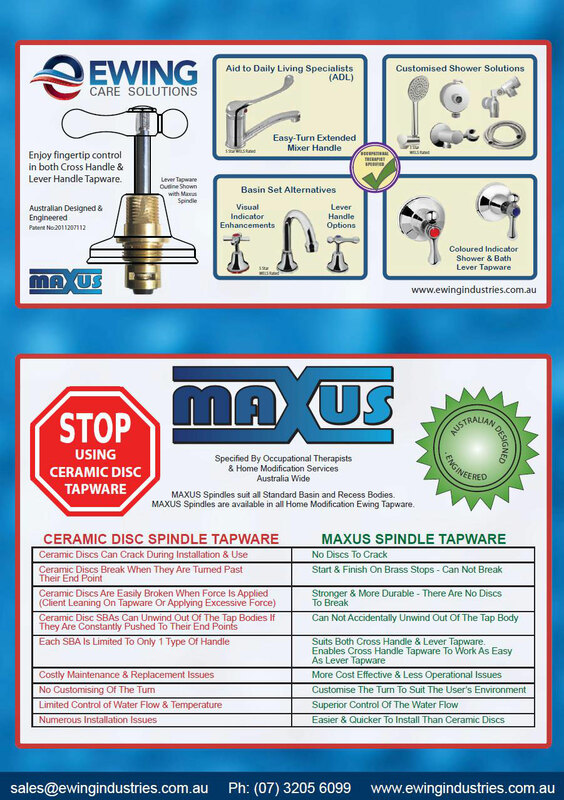 Maxus spindle technology completely turned the way people thought about controlling water flow. Instead of working against the force of the water’s flow why not harness this energy to help seal and stop leaks. This is what Maxus does. Now you have a product that is longer lasting, more durable, easy to use and requires less maintenance than any other spindle in the world. Maxus Spindles are designed to be the most robust spindles on the planet. Therefore a longer lasting more cost effective product that doesn’t need to be replaced as often certainly ticks all of the sustainability boxes. Because Maxus spindles harness the force of the water, the more pressure and flow you have the more Maxus will seal without compromising the taps’ ease of use. Built to last and keep your maintenance costs low. Unlike ceramic discs that scratch and break in rough operating environments Maxus spindles have eliminated the need to use ceramics to achieve precise control over the water flow. Fits into most existing tapware installations without modification. Maxus spindles are designed to fit into existing standard tapware bodies with the handle rotation customised to suit the user’s operating environment. Easy Operation - Let the water do the work for you. Superior Function - No Ceramic Discs = No Problems. Longer Lastig than Jumper Valves. Each SBA can select between 1/4 and 3/4 turn. Universal Handle Fit - Suits Button Locking and Anti-Vandal Handles. It’s incredibly frustrating when you are renovating and want to install Maxus or Ceramic Disc tapware only to discover that the in-wall combination is set to far in the wall and the tap seat has been machined. We solve this problem with the adjustable Maxus tapseat extenders. Suitable for all flexible hoses with 1/2" cone shaped ends. Starts the flow of water once a hose is connected. Save Time and Money during construction. Can be installed at frame stage or during fit-out. All the features of the CAP OFF plus. Automatically shuts off the water if the flexible hose bursts. Flood Stop - Fixing an expensive problem. When an unattended flexible connector hose bursts, the damage bill can be thousands of dollars. The biggest impact is often not just financial, rather the emotional strain and the uncertainty of where to live or work whilst your home or place of business is drying out. After that it’s the time taken for the repairs to be completed so you can return to your normal life. 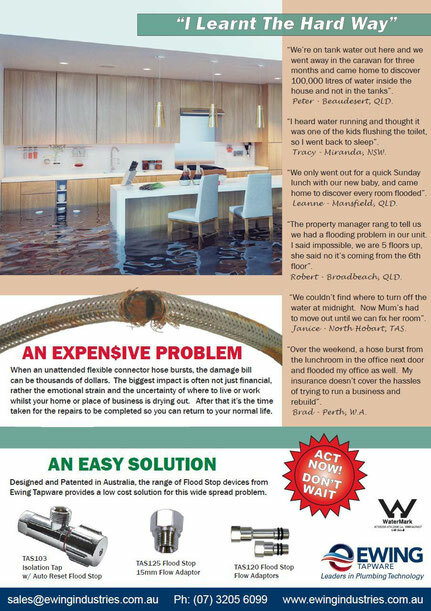 Designed and Patented in Australia, the range of Flood Stop devices from Ewing Tapware provides a low cost solution for this wide spread problem. Quik-Grip : Uniquely designed, easy to use. The easy to use Quik-Grip shower bracket can be installed in minutes on a 32mm Grab Rail and operated by simply tilting the bracket up, moving it to the desired location and tilting it back down. The uniquely designed grip mechanism is placed on the front of the shower bracket so it can be easily operated either by the right or left hand. Another registered designed product from Ewing Industries the leader in accessible tapware and care solutions. 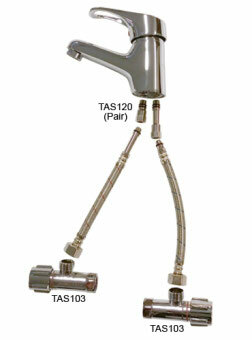 Vac-Snap : The ultimate garden hose tap has arrived. The quickest 'hook up' with new spanner socket combination. 8 strand 304 stainless steel braid not the standard 6 or 7 strands. High quality EPDM inner tube for hot and cold water. End connectors made from chrome plated DR brass. High strength mecanical crimping process.